Photo of: East Coast of Ireland: Meath: Boyne. This image was taken on Christmas Day 2010 during a very cold spell. The photograph is of one of our favourite weirs on the Boyne near Ardmulchan. 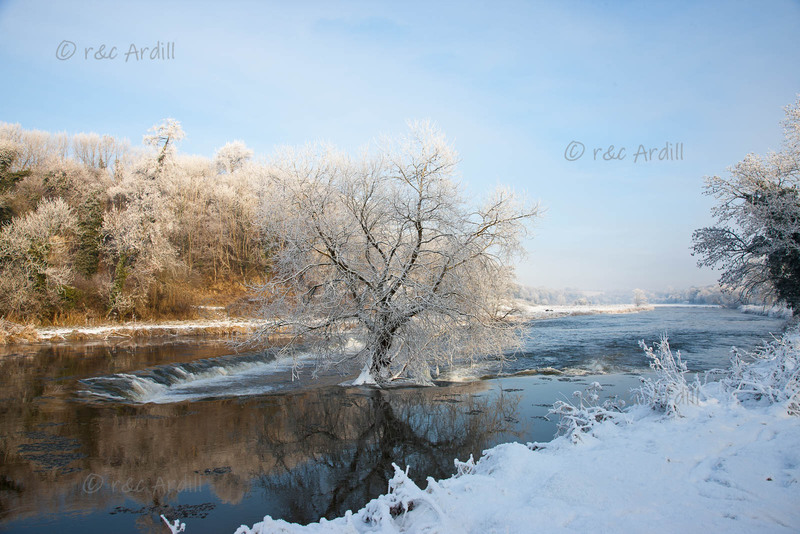 Many of the weirs on the Boyne have trees ... but this is one of the loveliest. In the arctic conditions ice has formed on the weir and on the low-lying branches that touch the river. For the first time in memory some stretches of the river were iced up - and the black patches on the river are little islands of ice.